The Chippewa River is excellent for tubing, great views, and much more. Along with the aesthetics, the Chippewa River is also a place to take in some of Eau Claire&apos;s incredible history. From parks to former manufacturing locations, the Chippewa River is the perfect place for a quick history lesson. 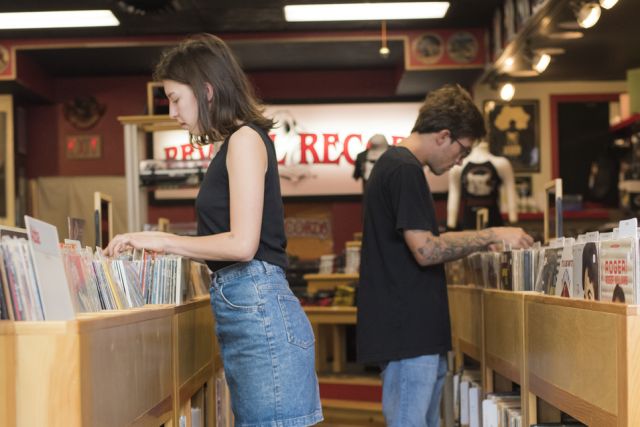 Here are five places to check out. Today Phoenix Park comes alive for the Farmer&apos;s Market and the Sounds Like Summer Concert Series. But back in the 1800s, it was home for a sawmill, an iron foundry, and a machine shop, among other things. The Phoenix Manufacturing Company set up shop there in 1875. It produced gristmill and sawmill machinery right along the confluence of the Eau Claire and Chippewa Rivers. Phoenix Manufacturing held Eau Claire&apos;s industrial Chippewa River shoreline together right up until 1971 when they left the site. The buildings were torn down in 1985. In 2005, after a lengthy cleanup process, Phoenix Park opened. Owen Park is a bustling concert venue, especially in the summer. 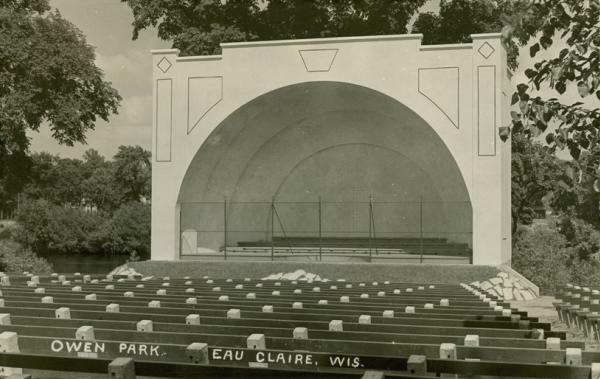 The park and the Sarge Boyd Bandshell represent a vibrant part of Eau Claire&apos;s history. In 2016 the bandshell was dedicated as a tribute to Sarge Boyd. Boyd served as the director of the Eau Claire Municipal Band back in 1929. He came to Eau Claire to direct high school bands and orchestras. His passion for music was well-known in the community. He organized patriotic events, weekend concerts, and other festivities in the area while serving as director of the Eau Claire Municipal Band until 1984. He passed away the following year. The place where the Eau Claire Municipal Band continues to hold concerts is now dedicated to the man who helped build it. It&apos;s no secret that bridges are a big part of Eau Claire. Within the city limits, there are 17 total. One of the many historic bridges in the area is the Water Street Bridge. Eau Claire used to be divided into three villages, separated by the two rivers. Water Street became the main street of West Eau Claire. But the first bridge linking Water Street to Eau Claire&apos;s east side did not have a happy ending. It washed out in the historic flood of 1884. The flood wiped out all but one bridge. From 1884 to 1914, a concrete bridge stood in its place. The third bridge in the same location made headlines in 1945. Riverbed erosion around one of the piers caused a section of the bride to collapse. Thankfully, motorists were able to get off the bridge. Within two weeks, almost the entire stretch was in the river. The Water Street bridge of today is the fifth one. The Half Moon Lake Canal recently got a facelift. The path we take to get to the right bank of the river and disembark at the Hobbs Boat Landing was previously used to transport massive amounts of logs. 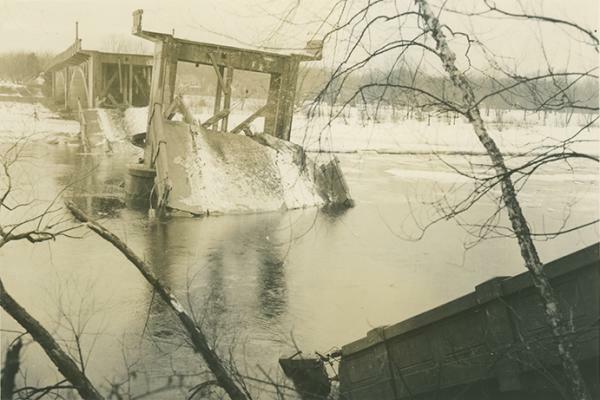 Way back in 1857, pioneering lumberman dug a canal 1200-foot long canal to connect the Chippewa River to Half Moon Lake. The lumberman constructed a pocket boom just offshore from where the Hobbs Boat Landing stands today. Capturing the logs and funneling them into the new canal proved difficult. It was hard to keep the logs far enough to the right of the channel. Many simply floated downstream. To prevent this, a long fin boom was built across the width of the river. Fin/sheer booms are adjustable booms that can close to catch logs or open to allow steamboats and other water traffic to go through. The canal is a huge part of Eau Claire&apos;s history. Today Half Moon Lake serves as a huge natural storage pond. 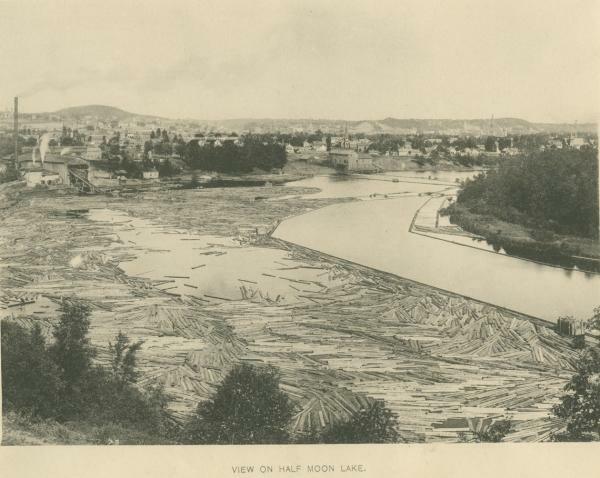 In the1800s, the canal made Eau Claire the region&apos;s most productive Sawdust City. In 1867, nine lumber companies operated mills adjacent to Half Moon Lake. 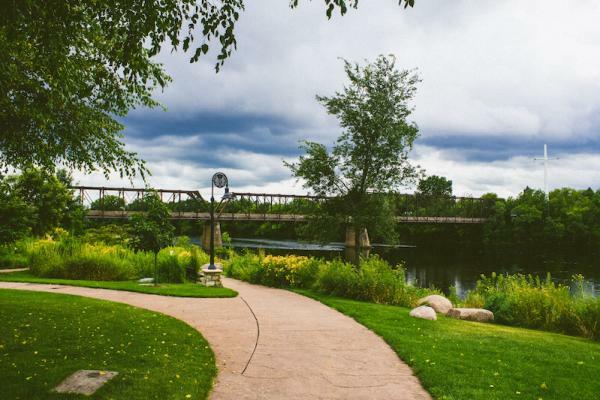 If you want to learn about Eau Claire&apos;s rich history, a walk along the Chippewa River is a great way to start. Don&apos;t forget to #CaptureEC along the way.